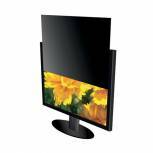 Blackout LCD 22in Widescreen Privacy Screen Filter SVLl22W Pack of 1 Privacy Screen Filter Widescreen 22in. Creates an appearance of a black screen unless directly in front of it. Reduces glare and protects surface of the screen. Comes with a microfibre cleaning cloth. Size 22 inch. 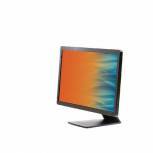 3M Frameless Anti-Glare Filter For Desktops 21.5in Widescreen 16:9 AG21.5W9 Pack of 1 Anti-glare filter for desktop screens. Reduces glare and protects against dust and scratches. Unobtrusive frameless design. Works with most touchscreens, can be removed and reapplied easily. Fits 21.5in screens. Format: Widescreen 16:9. 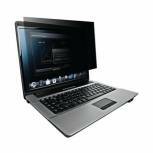 3M Black Privacy Filter For Laptops 12.5in Widescreen 16:9 PF12.5W9 Pack of 1 Privacy filter for laptop screens. Screen is hidden from viewers to the side in a 60 degree arc, keeping confidential data private. Easy to apply, remove and re-apply. Fits 12.5in screens. Format: Widescreen 16:9. 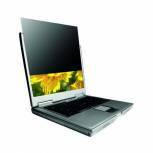 3M Black Privacy Filter For Laptops 15.6in Widescreen 16:9 PF15.6W9 Pack of 1 3M Privacy Screen Filter. Utilizes 3M's microlouvre privacy technology, so only persons directly in front of the monitor can see the image on screen. Size: 15.6 inch. Widescreen 16/9. 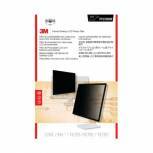 3M Frameless Anti-Glare Filter For Desktops 19in Standard 5:4 AG19.0 Pack of 1 Anti-glare filter for desktop screens. Reduces glare and protects against dust and scratches. Unobtrusive frameless design. Works with most touchscreens, can be removed and reapplied easily. Fits 19in screens. Format: Standard 5:4. 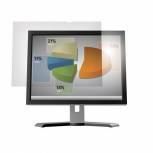 3M Frameless Anti-Glare Filter For Desktops 19in Widescreen 16:10 AG19.0W Pack of 1 Anti-glare filter for desktop screens. Reduces glare and protects against dust and scratches. Unobtrusive frameless design. Works with most touchscreens, can be removed and reapplied easily. Fits 19in screens. Format: Widescreen 16:10. 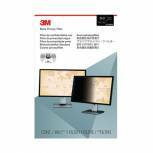 3M Frameless Anti-Glare Filter For Desktops 23in Widescreen 16:9 AG23.0W9 Pack of 1 Anti-glare filter for desktop screens. Reduces glare and protects against dust and scratches. Unobtrusive frameless design. Works with most touchscreens, can be removed and reapplied easily. Fits 23in screens. Format: Widescreen 16:9. 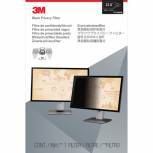 3M Privacy Screen Filter 13.3 inch Widescreen 16/9 98044050528 Pack of 1 3M Privacy Screen Filter . Utilizes 3M's microlouver privacy technology, so only persons directly in front of the monitor can see the image on screen. Size: 13.3 inch. Widescreen 16/9. 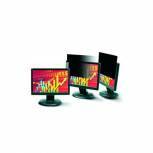 3M Black Privacy Filter For Desktops 21.5in Widescreen 16:9 PF21.5W9 Pack of 1 Privacy filter for desktop screens. Screen is hidden from viewers to the side in a 60 degree arc, keeping confidential data private. Easy to apply, remove and re-apply. Fits 21.5in screens. Format: Widescreen 16:9. 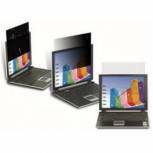 3M Black Privacy Filter For Laptops 14in Widescreen 16:9 PF14.0W9 Pack of 1 3M Privacy Screen Filter. Utilizes 3M's microlouvre privacy technology, so only persons directly in front of the monitor can see the image on screen. Size: 14.0 inch. Widescreen 16/9. Blackout LCD 20in Privacy Screen Filter SVL20 Pack of 1 Blackout Privacy Screen Filter 20in Widescreen. Creates an appearance of a black screen unless directly in front of it. Reduces glare and protects surface of the screen. Comes with a microfibre cleaning cloth. Size 20 inch. 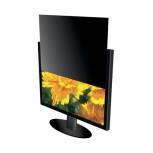 Blackout LCD 21.5in Widescreen Privacy Screen Filter SVL215W Pack of 1 LCD Privacy Screen Filter 21.5in Widescreen. Creates an appearance of a black screen unless directly in front of it. Reduces glare and protects surface of the screen. Comes with a microfibre cleaning cloth. Size 21.5 inch. 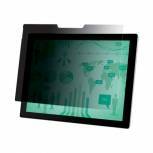 Blackout LCD 12in Widescreen Privacy Screen Filter SVL12W Pack of 1 Notebook Privacy Filter 12in Widescreen. Creates an appearance of a black screen unless directly in front of it. Reduces glare and protects surface of the screen. Comes with a microfibre cleaning cloth. Size 12 inch.